This week Oregon voters gave a resounding YES to Measure 101. 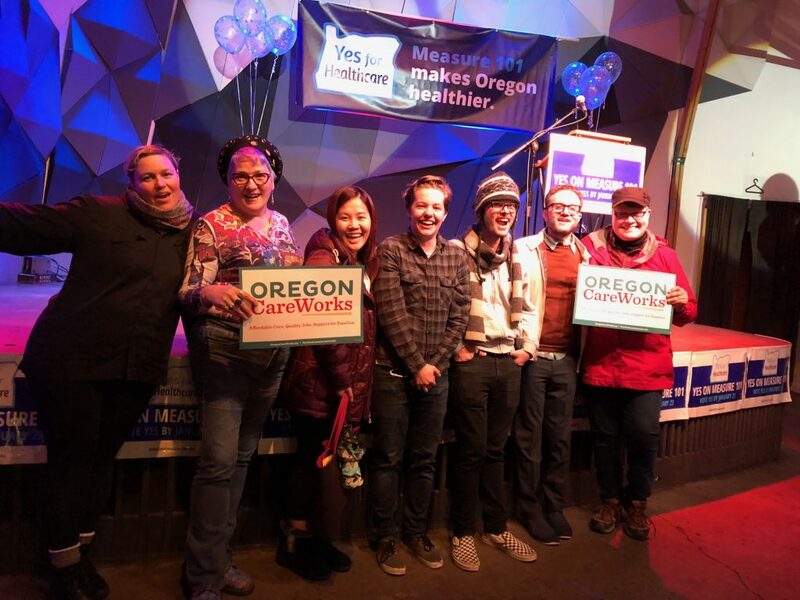 The 1 million Oregonians – including 400,000 kids – who get healthcare through Medicaid can rest easy knowing they’re safe, and the state budget was spared yet another crisis. 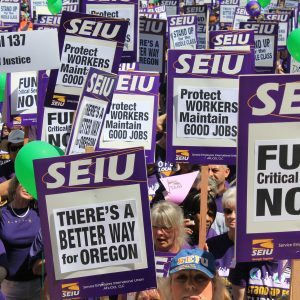 So how does this election impact SEIU members, and what’s next for our union? 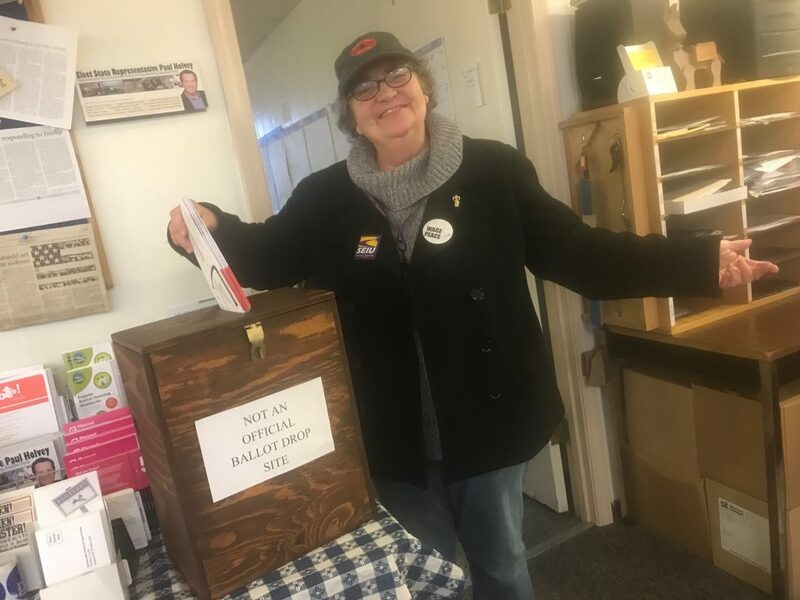 Measure 101 was a big win for every Local 503 member. Care provider members in particular had a lot at stake. The healthcare assessments in Measure 101 will generate millions of Medicaid dollars to fund the Oregon Health Plan. Thousands of care provider members get medical coverage through this program, and they can rest easy today knowing that cuts are off the table. Had the measure failed, homecare workers, personal support workers and consumers would have been put at risk. With our win on Tuesday, we know there will be no cuts to in-home care and support programs during the February legislative session. That’s huge. Instead, we can focus on improving these programs and expanding access to more people. State, higher ED and local government workers also scored a big win. Jeff Mapes at OPB pointed out that a loss on Measure 101 would have thrown the state budget into crisis. Instead, voters chose to protect more than $300 million in state funding. We can go into the legislative session in a strong position to protect our wages and benefits, and begin to fight back against recent cuts, such as the PEBB double coverage change. Non-profit, nursing home, and other care center members will benefit from Measure 101 as well. 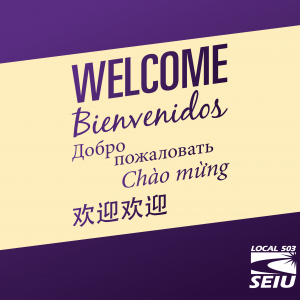 The communities SEIU members serve often rely on Medicaid – as do many of our families and friends. All of us can rest easy knowing the funding for this vital program is safe. Our union played a huge role in this campaign. Members, staff, and activists in SEIU’s CareWorks project volunteered their time in every part of the state. 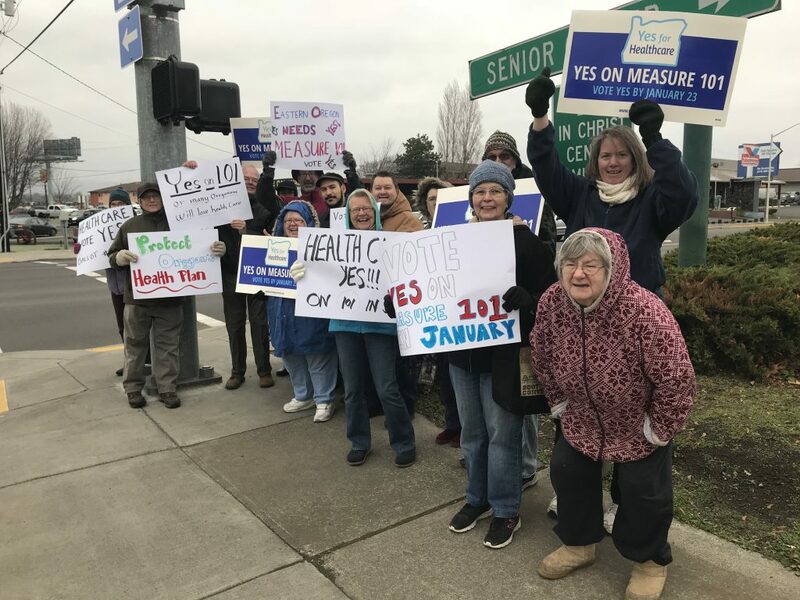 We knocked on 28,017 doors, called 2,309 voters, and texted more than 200,000 people to get the word out about Measure 101. 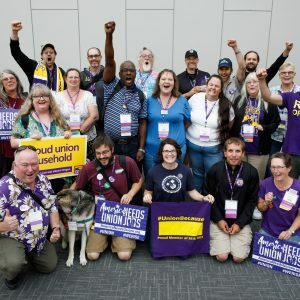 We also reached out to thousands of SEIU 503 members through the mail, email and social media, in addition to texting members to remind them to vote. 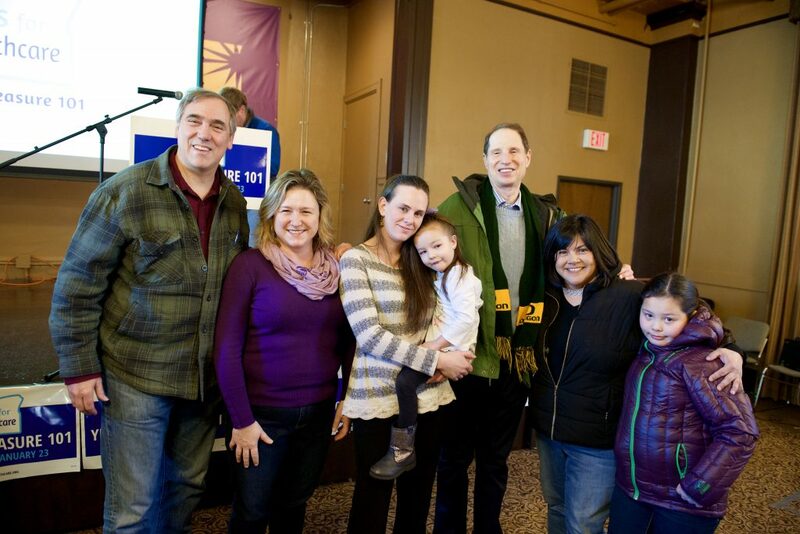 SEIU 503 turned out in a big way, and our voice was heard on Election Day. So what’s next for our union? As we head into the February legislative session we are focused on several top priority issues. Caregiver training programs: In 2017, homecare and personal support workers responded to surveys with advice on how to improve our work and our consumers’ lives. Among the many valuable insights was the need to create a stronger training program – one that lifted workers up by creating a path to higher wages and jobs in related fields like nursing. We expect a training bill to come up during the next legislative session, and our union will focus on making sure that it’s done the right way. In workers’ hands, training can be a ladder that lifts us up, not just another bureaucratic hurdle. But we need to own it. Public worker compensation: We expect anti-worker politicians to launch their usual attacks on public employee benefits. Our union will focus on blocking these attacks. But we’re also going a step further. We need to make some improvements to PEBB by rolling back the cut on double coverage. In our retirement plans, we need to give members more choice in how their money is invested. Both issues are likely to move in the 2019 session, but we must begin laying the groundwork for success in February.